Nuit Blanche 2016 is smaller than in previous years now that Scotiabank stopped sponsoring the massive all night art affair. Naturally, it'll be interesting to see what it feels like without this corporate monolith hanging over it. But with 90 installations scattered throughout the city, there's still plenty to experience from 7 p.m. on Oct. 1 until 7 a.m. on Oct. 2. Here are my picks for the top exhibits to check out at Nuit Blanche 2016. 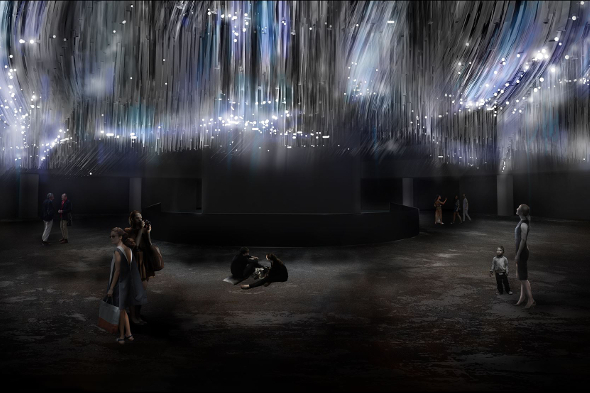 Locally based artist and architect Philip Beesley will transform the Rotunda at city hall into a dazzling light show - it might even be more intriguing than a city council meeting. It'll be hard to miss this giant white ball floating in front of city hall. Check out Director X's project on Nuit Blanche and experience his immersive experience that chronicles the slow death of the sun. Montreal's Rebecca Belmore, a multi-disciplinary artist and member of the Lac Seul First Nation at Frenchman's Head, will debut a new performance piece inside Walker Court at the Art Gallery of Ontario. New York-based, Polish artist Tim White-Sobieski looks at the idea of genetic memories, or the memories we're supposedly born with in this immersive, multi-screen installation. John Akomfrah uses three separate films, shot in the Isle of Skye, Faroe Islands and Norway to investigate our relationship with the sea as well as the ocean's role in our history of slavery, migration and conflict. Move your hand through space and an object will appear in it. That's what'll happen in you visit David Rokeby's interactive installation, which fuses art with computer science. Imagine floating down a river of books. At Nuit Blanche, you'll be able to thanks to the anonymous collective Luzinterruptus from Madrid, Spain. 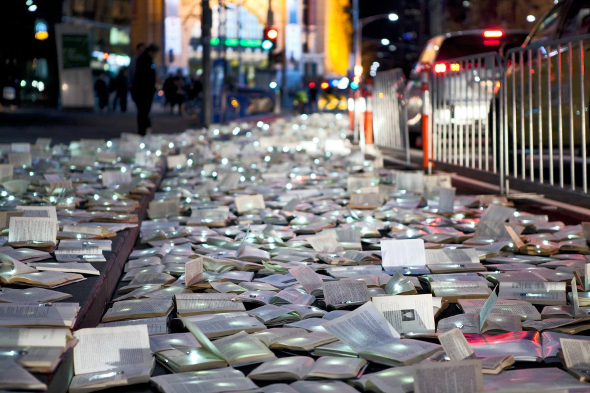 This light installation will feature piles of donated book - if you visit late enough, you might even get to take one home. No, the Thought Police aren't behind this installation. But this interactive piece from KURT will usher visitors into an enclosed space filled with screens and speakers and invites everyone to enter a "collective mind space" by focusing on the same thought simultaneously. What are the most notorious smells in Toronto? Sniff 'em for yourself on Saturday night as you pass through Julie C. Fortier's olfactory installation. Watch artist Shary Boyle's film, which stars Beth Hutchison, at the Harbourfront Centre Theatre. It's being shown in its original 16 mm for the first time in Canada. Jean‑Pierre Aubé, along with his team of performers, will track the electric smog - or things like phone signals and satellites - that hang above our city. See what the night sky really looks like at the Brigantine Room. Artist Novka Ćosović is building a pool inside Artscape Youngplace because in times of war, empty pools are often used as morgues. "They are domesticated-institutional-communal spaces that are perverted by war and violence," reads the Nuit Blanche website. Pop by 401 Richmond, which is going to be filled with art on Saturday night. And don't miss this installation by photographer Zahra Saleki, who's filling a greenhouse with 500 pieces of graffiti art collected from women's washroom in Toronto, Montreal and New York. 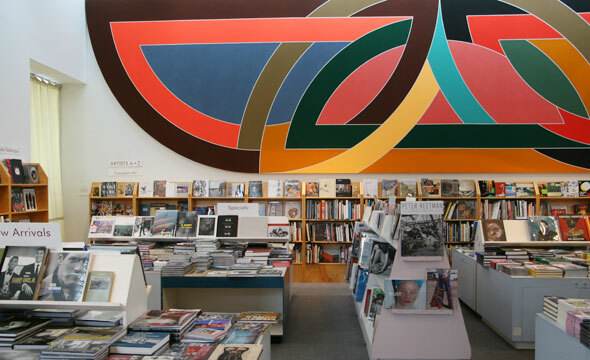 This book store closed a while ago, but you can still visit it on Saturday night. It'll look even cooler than usual when Kelly Jazvac covers its inside walls with a slew of salvaged billboards. Go to circus this Nuit Blanche. You might have to hike to get to Sterling Road, but you'll be rewarded with a live performances, music and even a Speaker's Corner-style confessional booth. Shows start at the top of every hour. This wall is supposed to emulate the Toronto's collective heartbeat. Sound sensors will track activity levels in one part of the city and the sculpture will present this data via pulsating lights. Toronto has a lot of laneways. So this project by Mark Francis looks at how we can easily animate some of these spaces to make urban life just a tiny bit better. 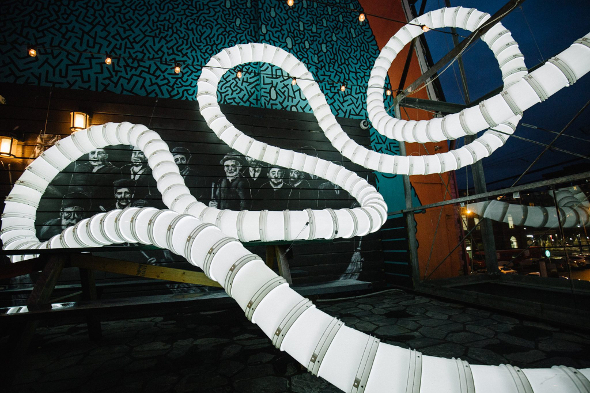 You'll be able to walk around and explore this massive sculpture made of plastic buckets. It's by New York-based visual artist Jason Peters. You become the artist in this Drake-inspired piece that invites Torontonians to help create a huge mural using puzzle pieces. Sure, it might sound kindergarten-esque, but it'll be interesting to watch what the drunken hordes of Nuit Blanchers add to it throughout the night. The Gladstone is always filled with art, but for Nuit Blanche, the entire hotel will come alive with work (shown for one night only) in its second floor studio spaces and hallways. Oh, and there will also be a Stranger Things-themed dance party happening at the same time. 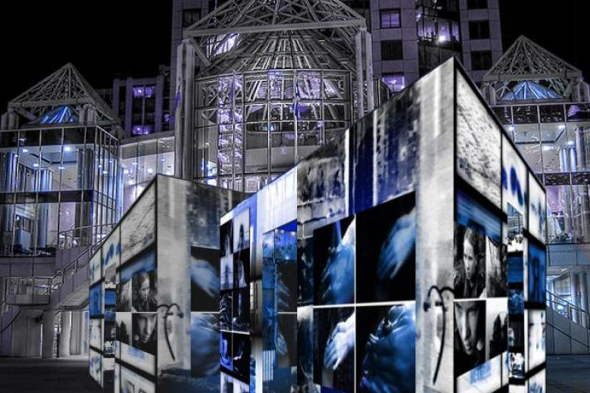 We're thrilled to be partnering with the City of Toronto on the official Nuit Blanche photo challenge. Tag your best pics from the night with #blogTOnbTO on Instagram anytime between 7 p.m. on October 1 to 7 p.m. on October 10. Not on Instagram? Just email the photos to us at challenge@blogto.com. Rules and Regs: By submitting photos to this contest you agree to allow blogTO, the City of Toronto and its partners to feature your photos in any future Nuit Blanche related promotion. Photos (in order) by: Natta Summerky, via Nuit Blanche and The Drake Hotel.